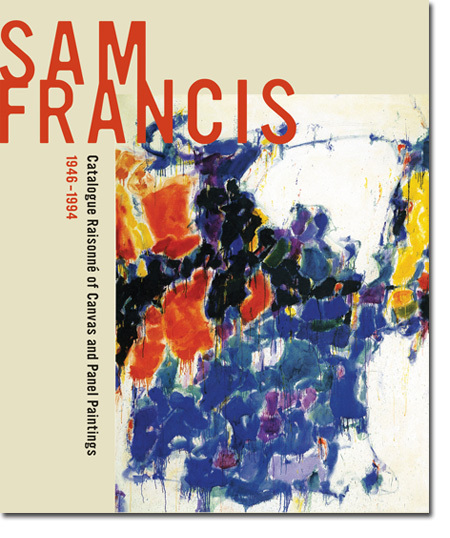 This long-awaited and innovative catalogue raisonné brings together, for the first time, all the known paintings on canvas and panel of California-born abstract expressionist Sam Francis (1923–1994) and offers a comprehensive chronicle of his artistic journey. One of the twentieth century’s leading interpreters of light and color, Francis maintained studios not only in New York and Los Angeles, but also in Paris, Bern, and Tokyo, making him the first post–World War II American painter whose reach was truly international. Throughout a long and prolific career, Francis created thousands of paintings as well as works on paper, prints, and monotypes. His work embraces New York abstract expressionism, color field painting, Chinese and Japanese art, French impressionism, and his own Bay Area roots. Sam Francis: Catalogue Raisonné of Canvas and Panel Paintings is a groundbreaking publication that will never go out of date. It consists of an amply illustrated book and two spectacular DVDs, which provide images and documentation for more than 1,850 canvas and panel paintings, hundreds of which are reproduced for the first time. The DVDs also include a rare film of the artist at work, an extensive bibliography, exhibition histories, and selected writings by Francis and others. The book features a masterful essay by William C. Agee and a biographical timeline compiled by Debra Burchett-Lere. Purchasers will have access to electronic updates on the Foundation’s website as they become available, making Sam Francis the premier catalogue raisonné for twenty-first-century readers. The official presentation of the catalogue will take place on 0ctober 4, 2011 at Sotheby's, New York. From september 26 till october 10, 2011 they exhibit a selection of original works by Sam Francis.